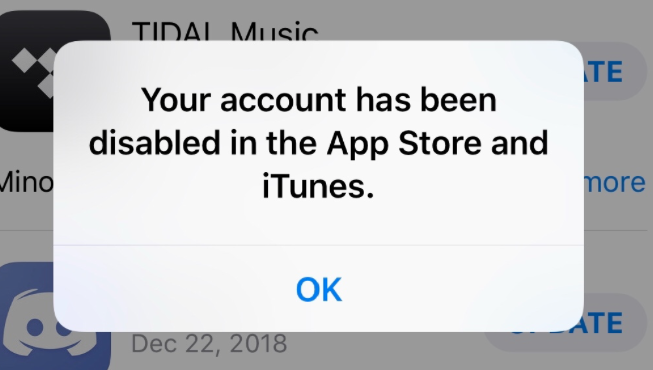 This article explains what you can do to fix if you encounter the “Your account has been disabled in the App Store and iTunes” error when you attempt to buy, download or update apps. You will not be able to download apps, until you fix this problem. 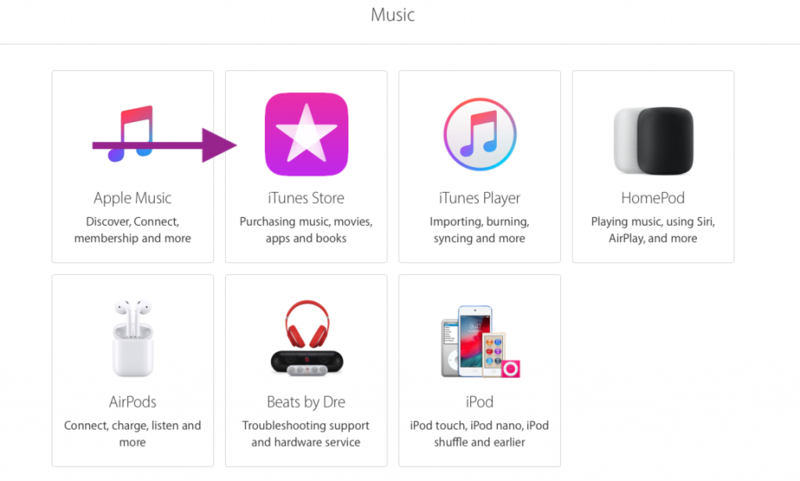 Without a working Apple ID, you will not be able to do a lot of things: buy, update apps, rent movies etc. You will not be able to use many apps and services such as App Store, Apple Music, iCloud, iMessage, FaceTime, iTunes Store and many more. So this is a serious problem. 1. 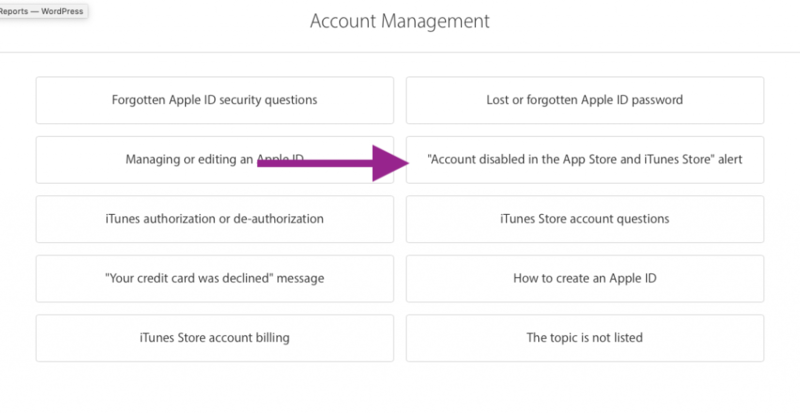 It is possible that you entered wrong Apple ID passwords too many times. Just wait and try the next day. 2. Please try the following steps. This will unlock your Apple ID. 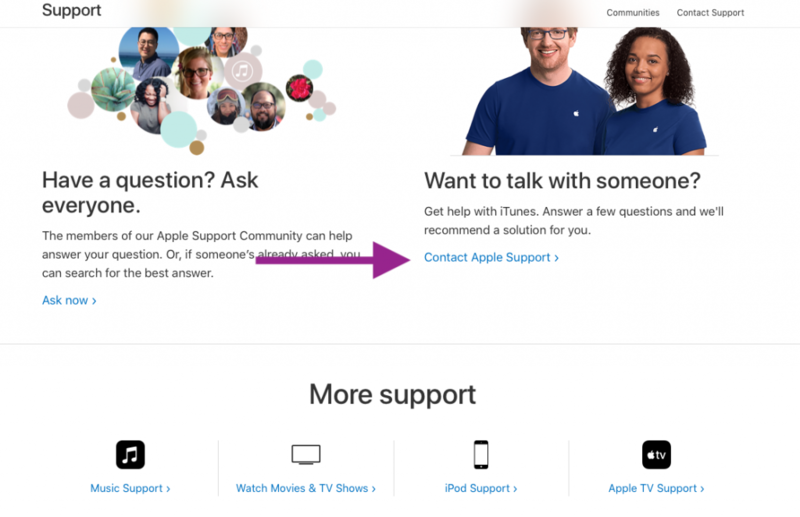 The web site will ask you a few questions (your phone number etc) to verify that that Apple ID belongs to you. On your iOS device, Settings > [your name] > iTunes & App Store and Sign Out. Then Sign in using your new Apple ID password. 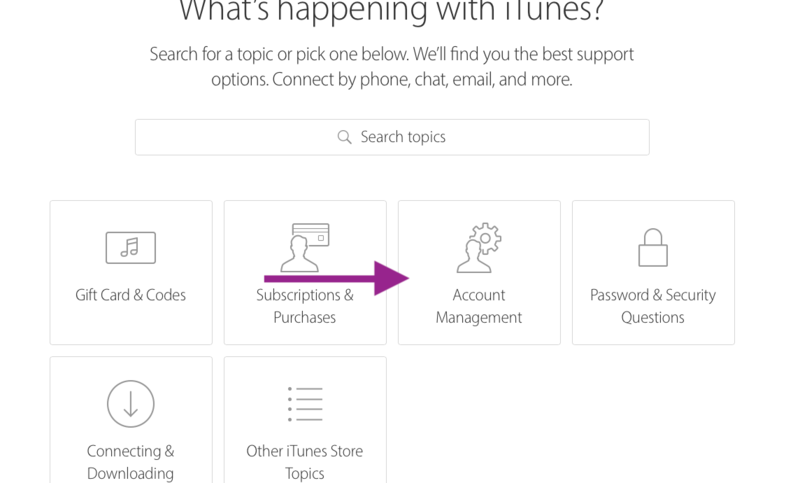 On Mac, open App Store (Store > Sign Out) and iTunes (Account > Sign Out) and then sign out and then sign in. Now you can schedule a call from Apple Support. They will call and help you.